The Super Bowl is an American yearly tradition, and so too, are the commercials. One of the brands most popular with its fans is Budweiser, who often features Clydesdale horses and adorable dogs. Most famously the Dalmatian. 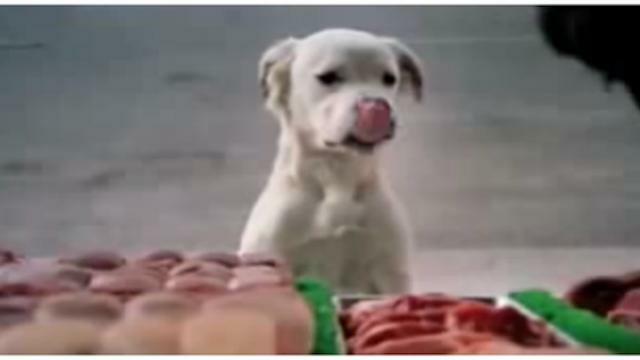 One of our favorite Budweiser commercials features a lonely dog who simply wants a piece of meat from the butcher. The stray dog looks very sad. The butcher comes out with a broom to chase him off. As the dog roams the streets, he suddenly spots a parade in action. As he looks at the beautiful Dalmatian dog sitting regal in the carriage, horses leading the way, he wishes that he could do that, too. As a car drives by, the poor dog can’t catch a break. He gets covered in muddy spots. Those muddy spots turn him into a celebrity of sorts. He decides to hitch a ride on the famous wagon. The rest is history, as the saying goes.